Social norms regarding corporal punishment (CP) may be the most important population-level risk factor for child physical abuse in the U.S. Little is known about the perceived social contexts, such as perceived norms and collective efficacy, that are linked with CP. In particular, there is a paucity of research exploring the direct and/or moderating roles of collective efficacy in reducing CP as a risk factor for child physical abuse. The current study examined the linkages between perceived neighborhood levels of both parenting collective efficacy and injunctive norms regarding CP use with maternal attitudes toward and use of CP. Data were utilized from a survey conducted with female primary caregivers (N = 436) enrolled in Special Supplemental Nutrition Program for Women, Infants and Children clinics in the Greater New Orleans Area. Perceived collective efficacy was not significantly associated with attitudes toward CP, and had only a marginally significant positive association with CP use (χ2 (2, N = 436) = 8.88, p = 0.06). Further, perceived injunctive norms (i.e., perceived higher levels of approval) of CP use by neighbors were positively associated with positive attitudes toward CP use (AOR: 6.43; 95% CI 4.00, 10.33) and greater frequency of CP use (AOR: 2.57; 95% CI 1.62, 4.09). There was evidence of effect modification by perceived collective-efficacy on the relation between injunctive norms of neighbors and frequency of CP use (p = 0.082). For those who reported high perceived collective efficacy, there was a significant association between positive perceived injunctive norms and frequency of CP use (AOR: 3.24; 95% CI 1.51, 6.95); this suggests that perceived collective efficacy does not buffer risk for CP use when parents perceive that neighbors approve of its use. 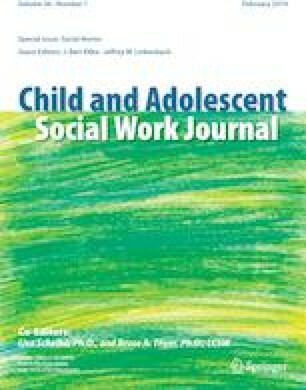 Targeted efforts for larger communities to shift beliefs and attitudes regarding CP use may be valuable not only in shifting community norms supportive of CP but also in building supportive community networks that discourage parents from using CP and encourage them to practice non-harsh parenting strategies. This work was supported in part by the Doris Duke Fellowship for the Promotion of Child Well-Being, the Centers for Disease Control and Prevention (R01 CE002327-03), and the Health Services and Resource Administration Maternal & Child Health Epidemiology Doctoral Training Program (T03MC07649). Child Trends Data Bank. (2015). Attitudes towards spanking: Indicators of child and youth well-being. Retrieved from https://www.childtrends.org/wp-content/uploads/2015/11/51_Attitudes_Toward_Spanking.pdf. Council of Europe. (2016). Corporal punishment. Retrieved from https://www.coe.int/en/web/children/corporal-punishment/-/asset_publisher/23vXPJ0BR8nu/content/conference-on-corporal-punishment-vienna. Gunderson Health System. (2017). No hit zone initiative. Retrieved from http://www.thisisanohitzone.org/thisisanohitzone/.